I believe that there are moments in our work lives when we need to convert PDF to Microsfot Word file for different reasons. When you input PDF to Word Convert in your search engine you will find considerable programs are in list. Now you are faced with another problem. That is how to select a free but reliable one. All of the programs can be classified into two groups: online conversion service and desktop programs. If you have tried out online converters you must know that it is not a long-term solution because there are lots of limits. For exmple, a limit of file size, requirement of leaving your email address and uploading a PDF file which may contain personal information. All of these indicate that free desktop program is a better choice. This posting will present a number of different ways to do this featuring the highest quality and without any watermarks or restrictions. Accuracy: Good treatment of the different elements all around (tables/formatting, images). Strengths: Excellent handling images, and formatting, even for complicated documents and forms. Conduct conversion with a very fast speed and support batch conversion and multiple languages. 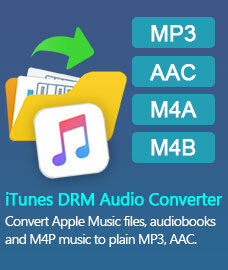 Convert PDF to other formats such as Image/ EPUB/ HTML/ Text/ SWF and can be used as PDF encrypter and PDF Merger. Weakness: Only convert to Word07 (*.docx) file. Overview: This is an excellent PDF to Word converter, for both simple and complicated documents. If a desktop-based converted is what you want this is definitively the one to go for. CNet Editor's Rating: 4-Star Excellent. Accuracy: Generally the converted documents look like the original, although it is not optimized for user-friendly editing, and some elements in complicated documents (such as the trade brochure we converted) might be off. Strengths: Conduct a general good conversion from PDF to Word with a simple interface. Weaknesses: According to the program's documentation, you can convert more than one file at the same time, but this feature didn't work. Text is handled via floating windows, without a continuous editable stream, which makes editing large documents cumbersome. OCR Support: None. Click here to know more about free OCR tools. documents very well. Good choice for occasional use. Softonic Editor's Rating: 7/10 Good. Click here to read Softonic editor's review. 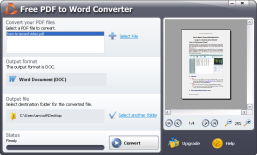 A free PDF to Word converter with straigtforward interface and it is optimized for user-friendly editting. The program won't take up much hard-drive space. Accuracy: The layout of the original PDF files can be preserved in the converted files. However, the images are blurred in some cases. Strengths: It creates a compatible version for almost all word processor versions. 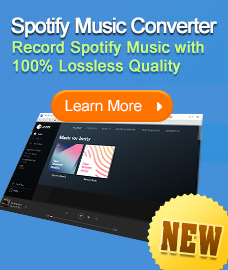 Intuitive interface with fast conversion speed. Weaknesses: Images conversion needs to be improved. Overveiw: A good choice for people to edit text PDF files. You can make your edits and then export the file back to PDF. It will still have all the colors, images, and graphs it had before your edits. Cnet Editor's Rating: 3 and a half star. Very Good. 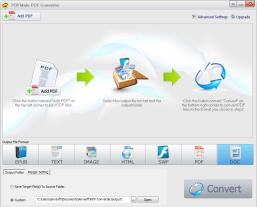 In any case, if you are wondering whether you can do good PDF to Word DOC conversion for free, you can take the above mentioned 3 best free PDF to Word Converters into consideration.